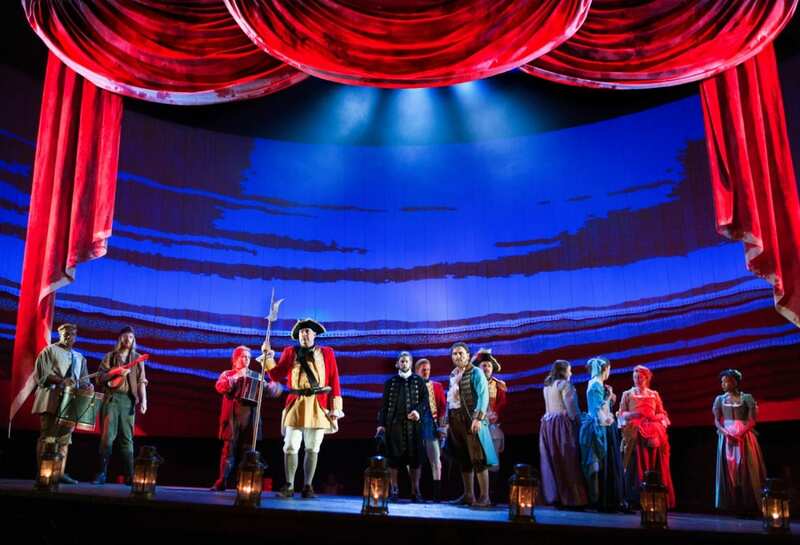 Anchored by the full force of the National’s staging abilities, Our Country’s Good transports us to 1787, early in the long colonisation of Australia. In an attempt to unburden the heaving masses of England’s gaols, a ragtag group of convicts and their military rulers all land together in an alien country, seeking for a new way of life. 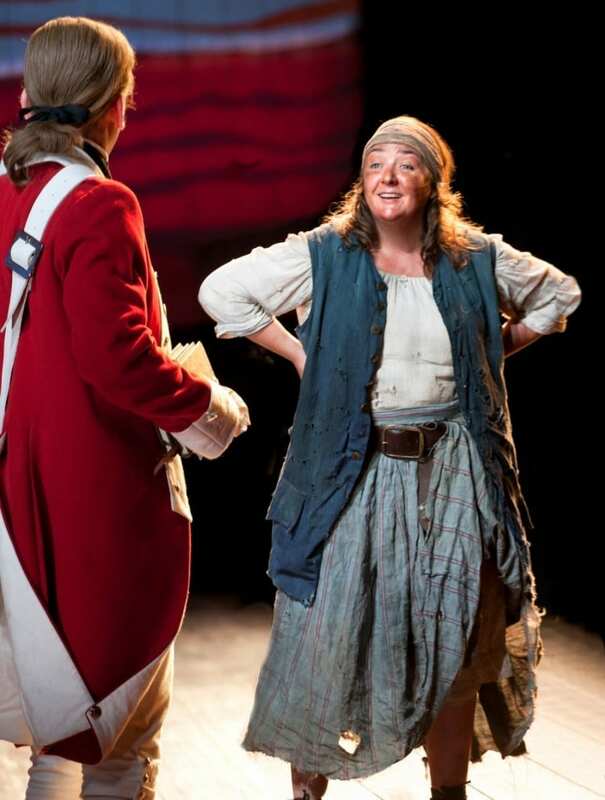 The creation of this new society, in the progression of Wertenbaker’s play, begins by way of a cast of convicts putting on George Farquhar’s comedy of manners, “The Recruiting Officer”. Nadia Fall’s direction is spot on, crafting skillfully a production that asks interrogates dark questions about punishment and fates. Peter McKintosh’s sweeping design blends together minimalist despairing lines that evoke the desolation of a forsaken people with the vibrant reds and styles of the Australian aboriginals. The breadth of a world grown bigger is compounded by the inventive use of the Olivier Theatre’s revolving plate – rising up from the ground, it swells into the the belly of a beast ship filled with the tortured, and then is the calming turn of the planet with an aboriginal tribesman balanced at its centre. A nuanced reading of the play and bold set design combined come together to form a profound piece of work that inspires. No one strand of plot runs entirely through the play. Think of it as one of those ensemble films where the lives of many different characters entangle. There was a problem of pacing, and at times it felt a little like watching a play with no plot – when tension is everywhere and peace is absent, it becomes hard to distinguish any sort of movement. 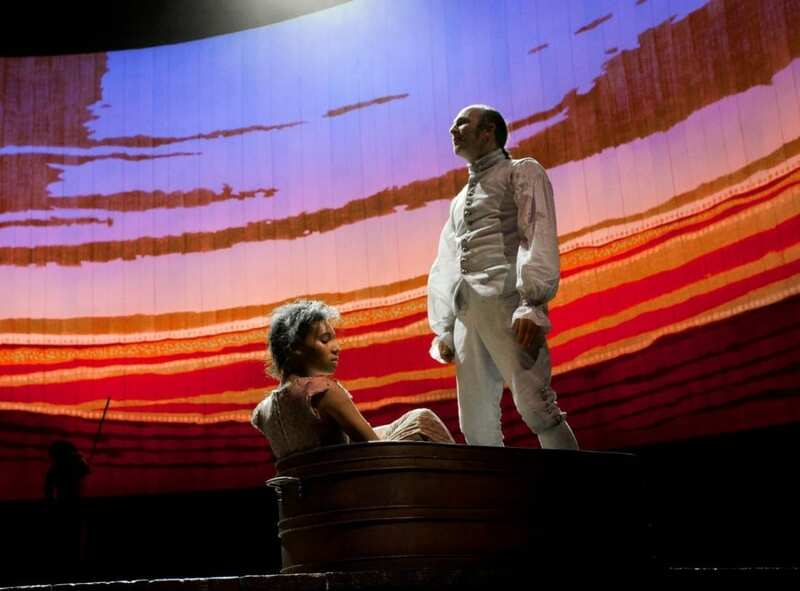 Which might be the case: the play comes off less like a production about an actual story, than a series of accounts of the lives of those who have washed up on the shores of what might as well have been a new planet. 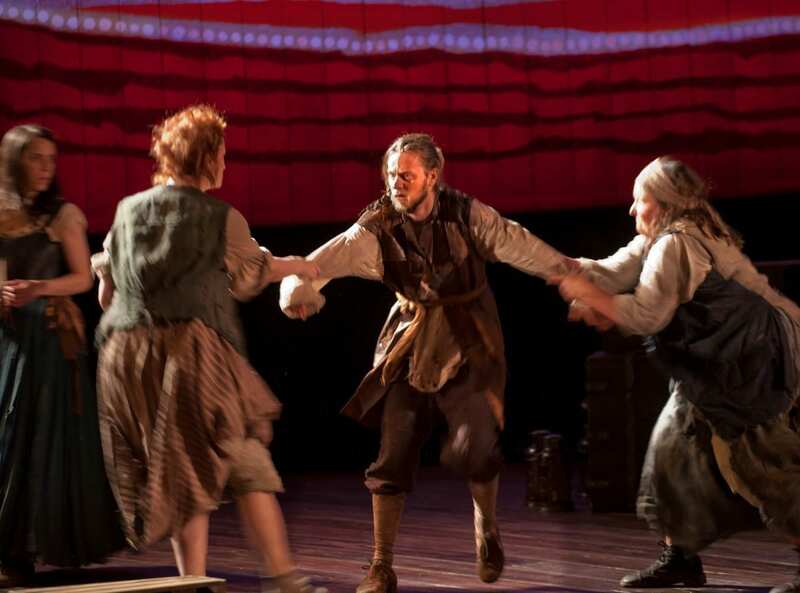 Though it didn’t detract from the play’s value, Our Country’s Good feels fragmented and uncertain of its focus, like ripped pages from a journal. This is history, not narrative. This structure of the play makes this perhaps one of the most truly ensemble pieces of theatre I’ve seen. Each person’s story is important, each one carefully delineated from one another. The cast of Our Country’s Good is a treat to watch, colourful and varied in their performances. One might think that the entire play is a sort of comedy of manners, with all the different textures of life that were represented. In all honesty, the women stole the show, providing performances that are unflinching and honest – they are women who habe lost everything, and who have nothing else left to lose. Jodie McNee’s Liz Morden is all snarling disdain for the world, layered with the trauma of the life she’d lived and staring wide-eyed but unfazed at the fate she knew was awaiting her. Ashley Maguire’s Devonian Dabby is a beautiful comedic foil for Caoilfhionn Dunne’s sullen Mary Brenham – the former funny for all her knowledge of the reality of the world, the other despairing for all her lack of knowledge of it. The men did all right, but surely the juiciest bits of the play are tipped into the hands of the women. The play is one that works by way of juxtaposition in order to find – as Lieutenant Clark says in the course of the production – the truth. Visually and textually, the play is constructed in a series of mirrors, each one reflecting the other in the search for some semblance of truth, or – more accurately – a way tolerable way of life. Gender, race and history are all present here – man against woman, white man against black, jailer and prisoner, England and Australia. 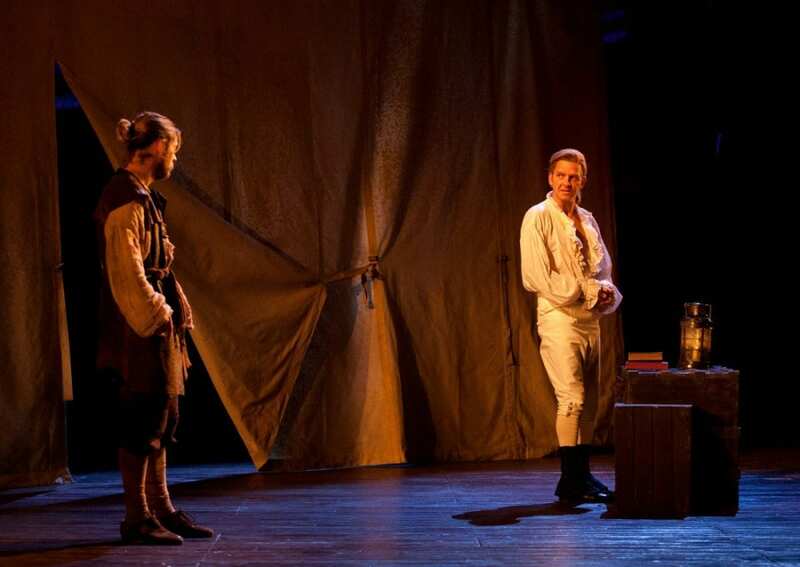 Falls provides beautiful and complex visual ideas for the play’s words, by having the dark-skinned admiral leading the colony, and reminiscing of the educated slave boy. Later, he expounds obsessively on the greatness of the Greeks and Romans, even as he attempts to control a scruffy bunch of malnourished, tortured convicts. 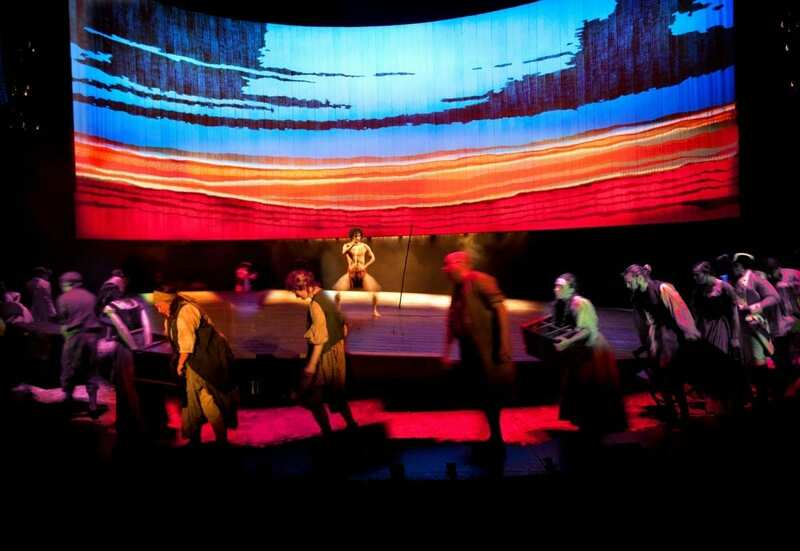 Gary Wood’s Aborigine is more dancer than “savage”, fluid compared to the stiff and straight laced soldiers of Her Majesty’s army – the wildness of Australia is dashed in bright reds and oranges, whilst the rest of the stage hovers in shadows. His physicality is also contrasted against the oral nature of the English, who bring with them folk songs from Europe. These are two very different cultures, we are being told; one is a world of the body, and the other of the oral. 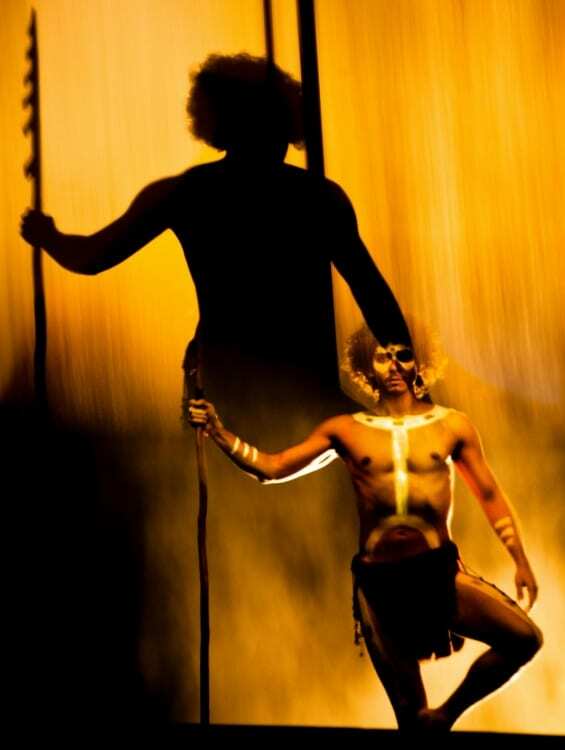 The past of England is constantly evoked in the language of the play, even as the future of Australia is embodied in the singular form of the aboriginal tribesman who hangs over the scenery like a pall of forthcoming death. Despite all this fragmentation and individualised scenes of life however, the play makes a bold statement about the power of theatre and pretend. In performing Farquhar’s play, Our Country’s Good reaches back into the culture England, and is suffused with the spirit of Shakespeare. The play-within-a-play device calls to mind Hamlet, and A Midsummer Night’s Dream in its fourth wall breaking ideas about the power of the play. You cannot help but feel that Mr Sideways has more than a touch of Bottom within him. And with the spirit of playacting, the convicts and the soldiers are all forced to confront what we are and what we are not. In a the very sense of Shakespeare’s Dane, “the play’s the thing” and will reveal truths about the reality they exist in – far less subtly, of course, but with no less power and importance. The convicts turn actors must reconsider their own humanity when they try to imagine themselves into the highest forms of civility. 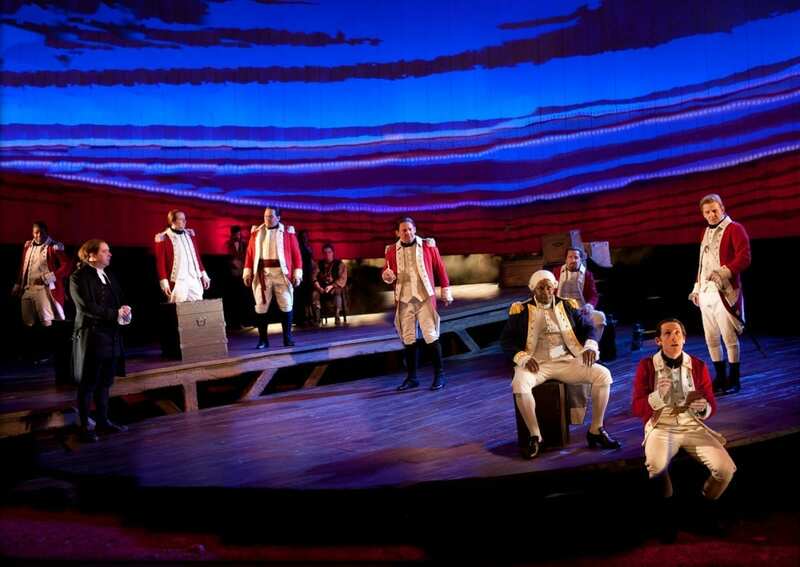 At the same time, the play’s effect causes the soldiers’ cruelty betrays their professed enlightenment. What makes a civilisation? is constantly questioned in the play. 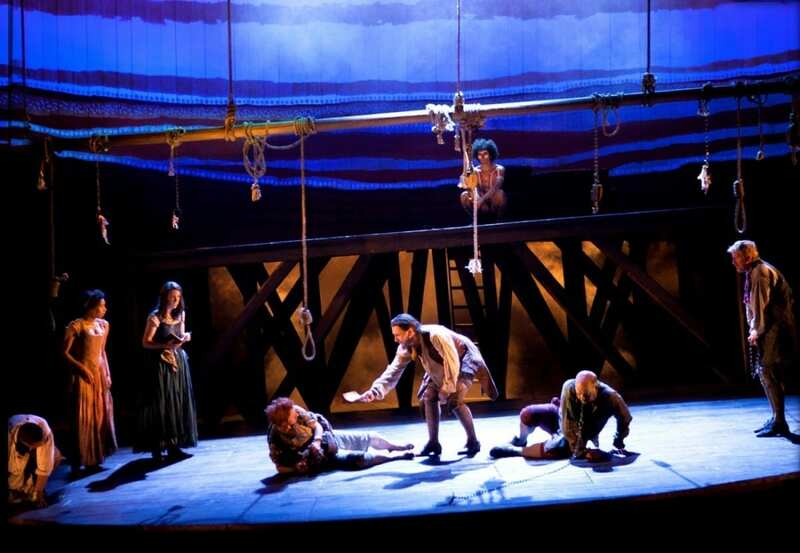 Does crime and punishment make it, as Captain Ross claims in his belief that rule of law lies at the heart of society – or does beauty, theatre and poetry? Nadia Fall’s masterful production in all its sincerity makes a strong case for the latter. Cast includes: Cyril Nri, Peter Forbes, Jason Hughes, Paul Kaye, Gary Wood, Caoilfhionn Dunne, Jodie McNee, Ashley Maguire, Shalisha James-Davies and Jonathan Livingstone. Samantha is a native Malaysian, currently studying English at UCL. 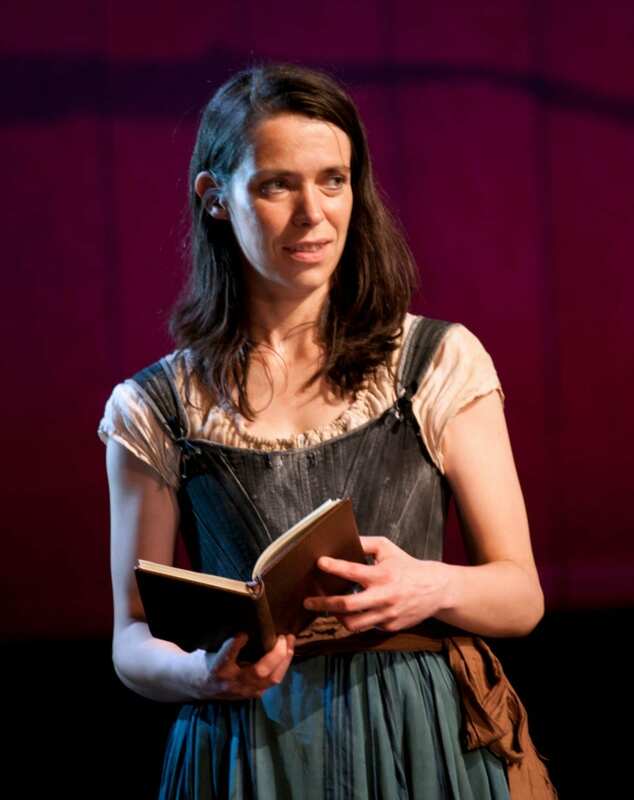 She specialises in Renaissance theatre, but also enjoys new writing and pantomimes. She is trying to learn the art of writing succinctly. 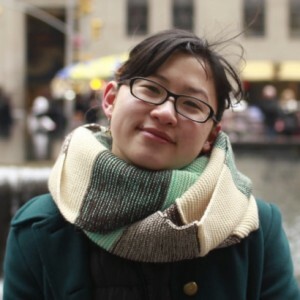 She also hopes the spirit of Roger Ebert will descend on her when writing.